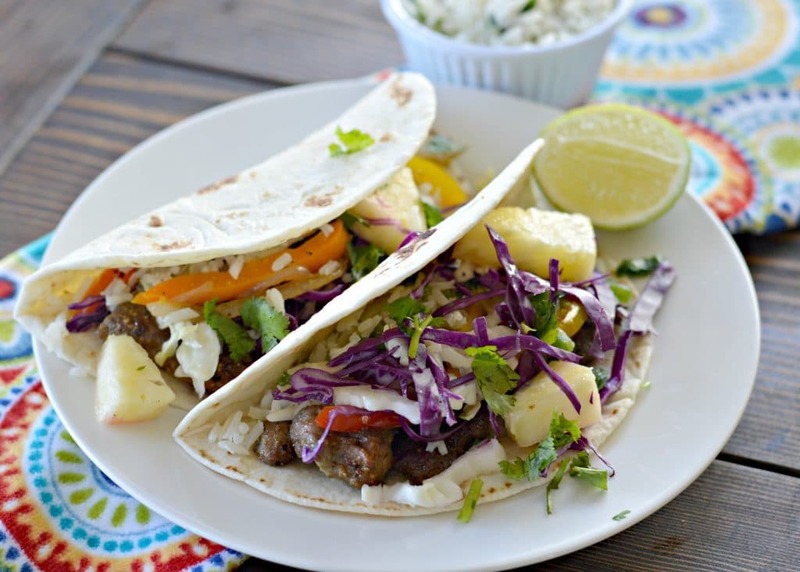 These pork fajitas with Hawaiian slaw and coconut cilantro-lime rice is a perfect meal for busy weeknights. 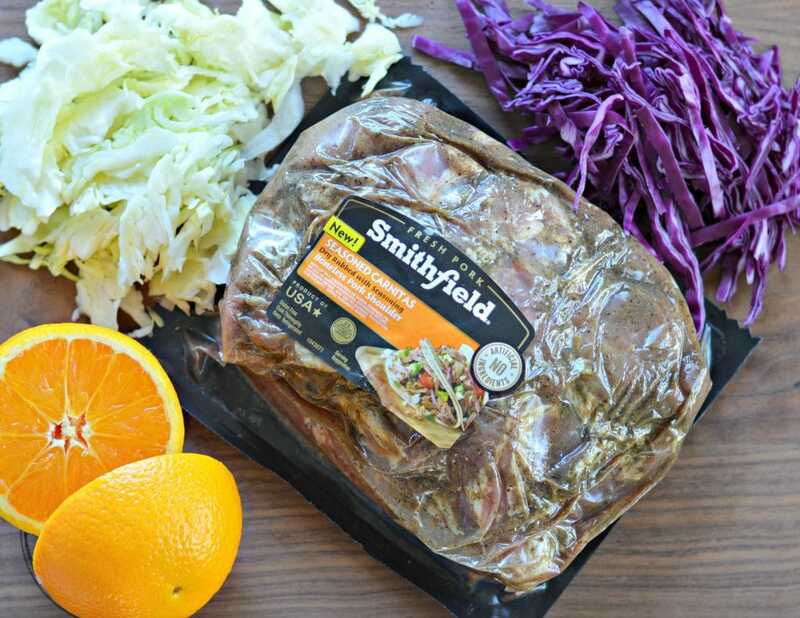 The great thing is that you can use Smithfield Marinated Boneless Pork Shoulder Seasoned Carnitas to cut the time in half! Keep reading to find out more. Even though we had a little bit of snow last night, we have actually had a fairly mild winter and a nice start to Spring here in Colorado. 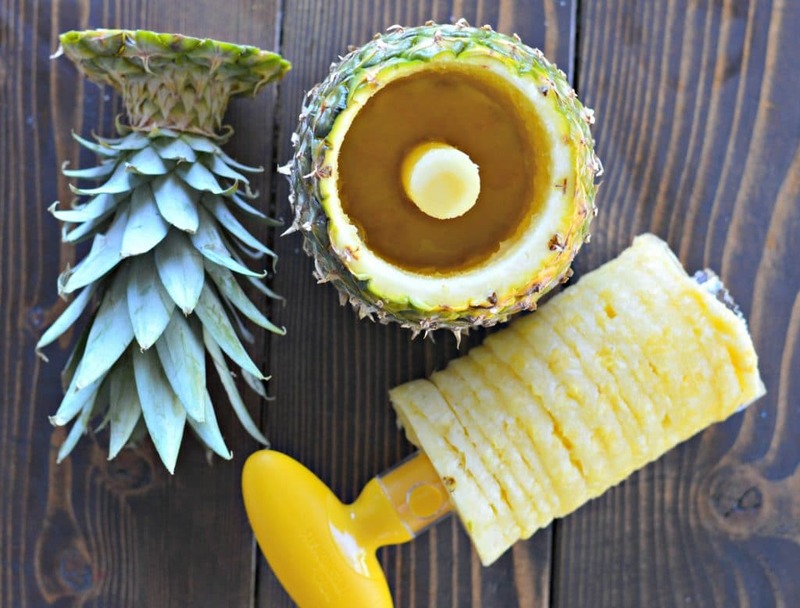 When the sun comes out, all of our fun activities start and that means sometimes I don’t have as much time in the afternoons to make a big dinner. 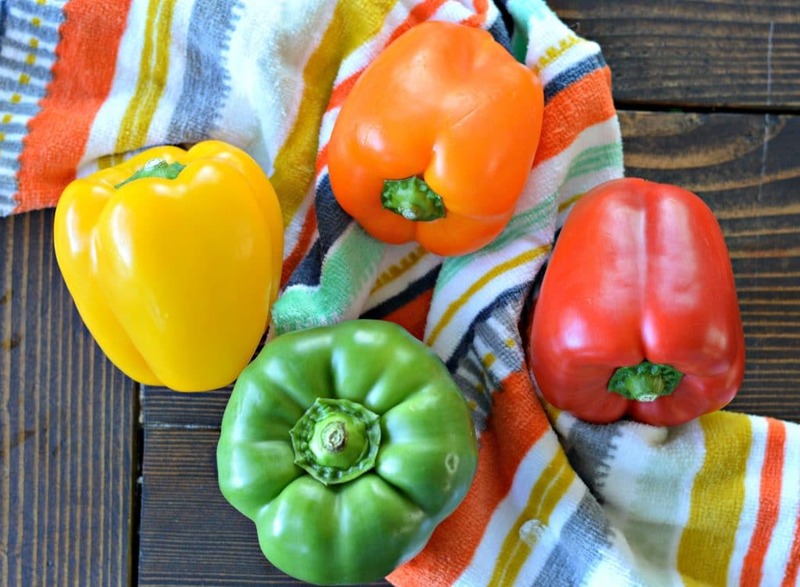 On days when there isn’t much time, I love to reach for my list of quick and easy meals to make something delicious for my family. Just because something is quick though, doesn’t mean that it has to lack flavor! I always try to make sure that the recipes I make have lots of flavor and combines a variety of fresh ingredients. 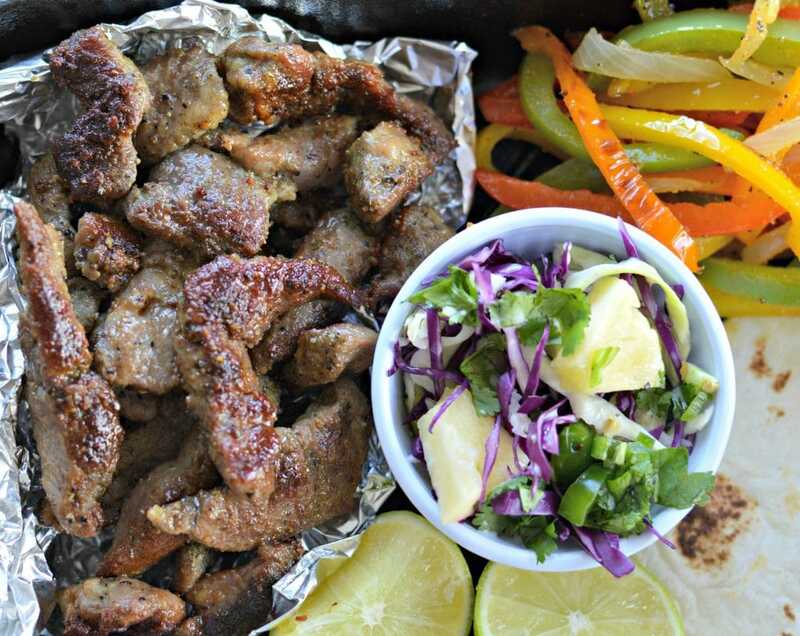 This recipe for pork fajitas with Hawaiian slaw and coconut cilantro lime dressing is no exception and you can make it in thirty minutes or less! 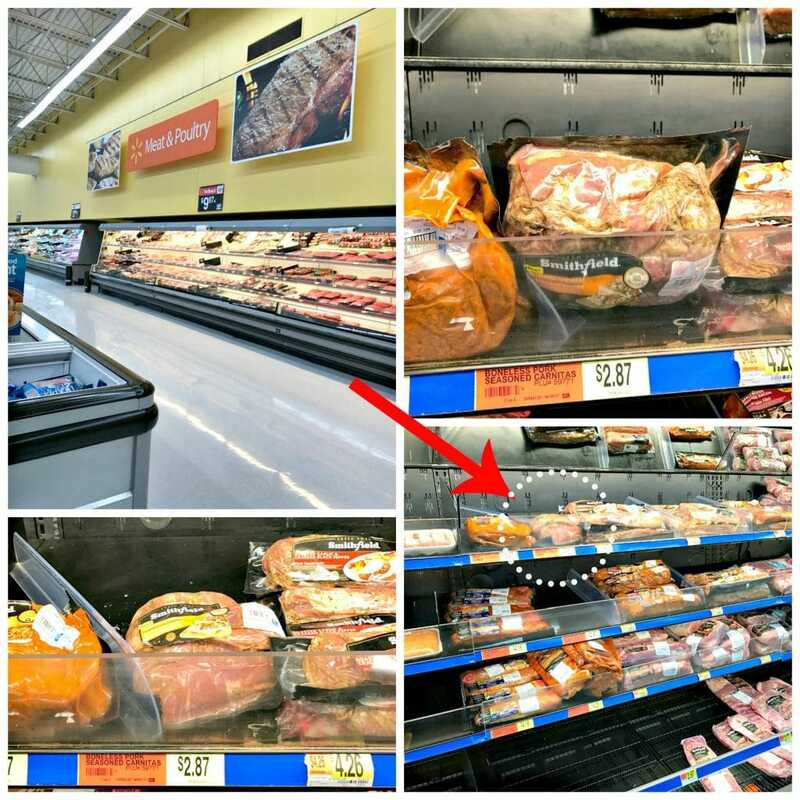 It can be hard to get a lot of flavor into pork in a short amount of time without marinating it, which is why I love the new Smithfield® Marinated Fresh Pork products that you can find at Walmart. The variety that I chose for this recipe is the Smithfield Marinated Boneless Pork Shoulder Seasoned Carnitas. I love this because it is 100% pork and the flavors are so amazing. It comes in the package already marinated and ready to add to whatever recipe you can imagine and it comes in a variety of flavors and cuts – i.e. tenderloins, loin filets, and roasts. You can find it in the pork section of the meat department at Walmart. Click on the image below to earn $1.00 off your purchase using Ibotta. Using Smithfield® Marinated Fresh Pork means that you have even more time to focus on getting the other ingredients ready. For this recipe not only do we include the pork cut into strips, but we also include a Hawaiian slaw with pineapple, jicama, and cabbage with a sweet, creamy sauce. 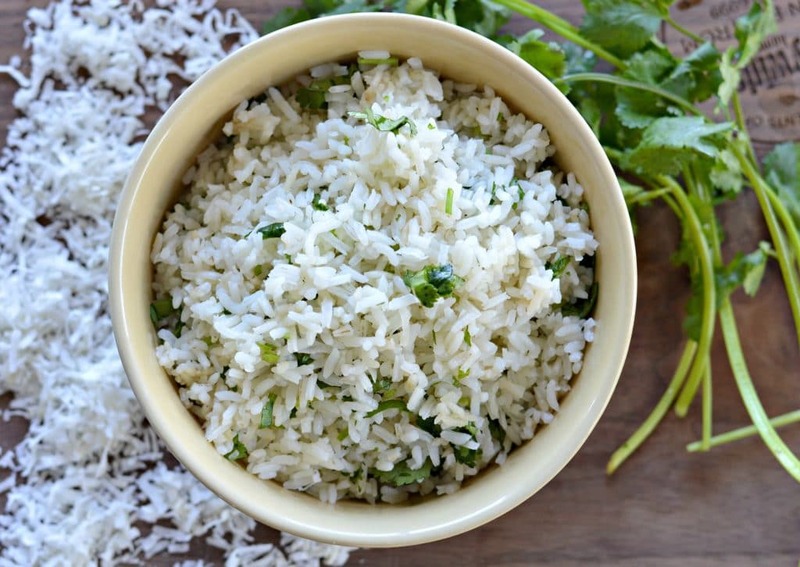 Finally, you will definitely want to include this delicious coconut cilantro lime rice – it really takes this recipe over the top! Once you have everything ready, all you need are some flour tortillas, cheese, lime wedges, avocado, dressing or sauce of your choice and a hungry family! 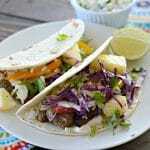 I hope that you enjoy these fajitas as much as we do and that this gives you a great idea for your next busy weeknight. Let me know how it turns out in the comments below. Flour tortillas Cheese, Lemon, and avocado for the fajitas. 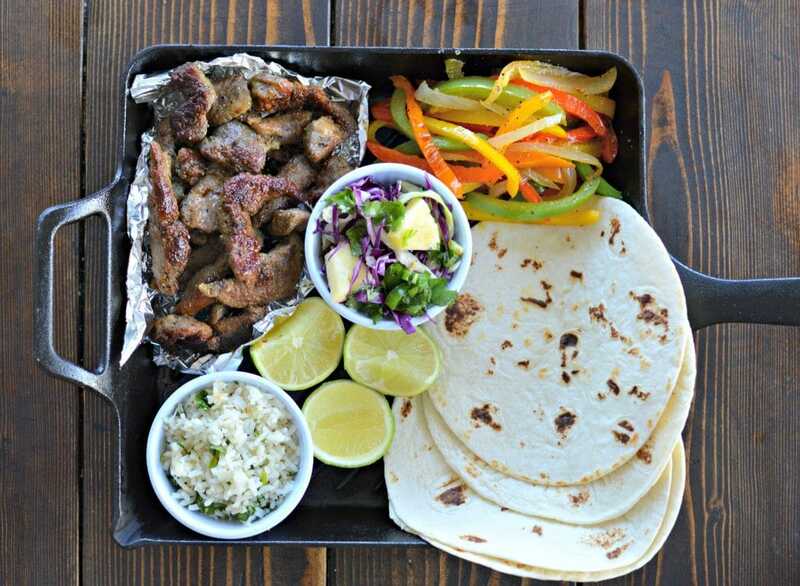 Cut the Smithfield Marinated Boneless Pork Shoulder Seasoned Carnitas in strips and cook in a hot pan with Olive Oil. Stir for 5 minutes or until the meat starts to cook through. Add the peppers and cook for 3 more minutes before adding the onion and cooking through. Set aside. In a large bowl combine the cabbage, jicama, pineaple, cilantro and jalapeno. In a small bowl mix the dressing ingredients. Combine with the slaw. Refrigerate for 10 minutes or more. Combine the chopped cilantro, sugar and lemon. Pour into the cooked rice along with the coconut. Warm the tortillas and Enjoy!.